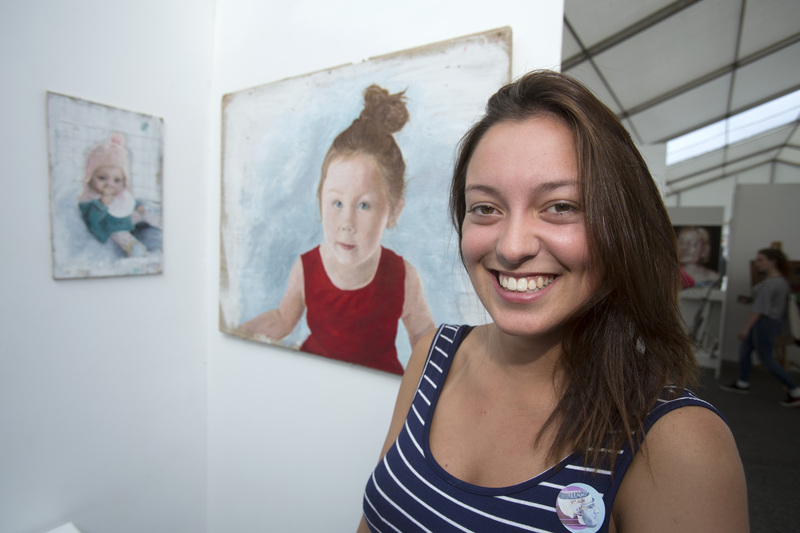 Abbie Trevorrow, 18, of Towednack, who has just completed her Art and Design Level 3 Diploma at Penwith College, is the recipient of the first West Cornwall DFAS Art Prize. Judges Liz Le Grice, Tim Wayne and Samme Charlesworth selected the work from a Golowan Festival exhibition of college course projects held in the Art Marquee at Penzance Harbour. Abbie’s winning oil studies of her nieces, Arwen, four, and Andi, 11 months, portraits based on work by Michael Mann, will now be submitted to the Royal Society of British Artists as part of a NADFAS initiative, to be considered for inclusion in its 2016 exhibition at the Mall Galleries in London. 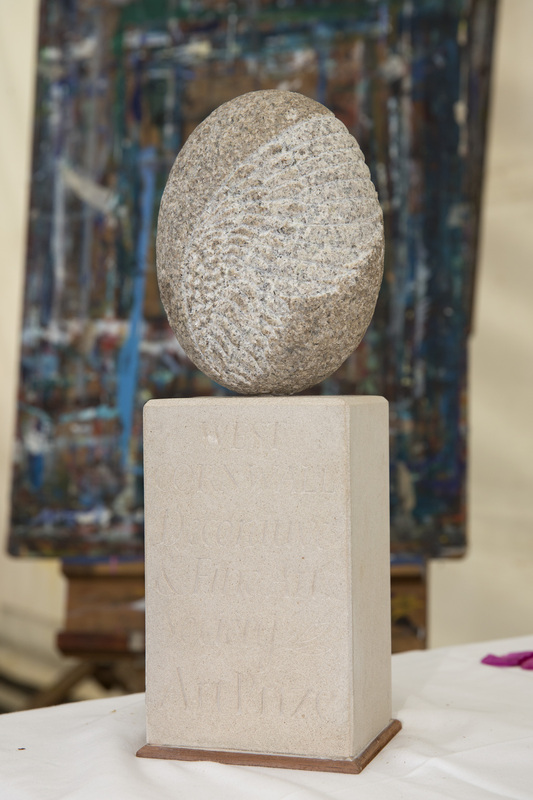 The gull-wing sculpture prize awarded to Abbie was designed and carved from granite by West Cornwall DFAS committee member Zoe Kovacs, and mounted on Portland stone by Joe Hemming, who has a workshop near St Buryan. Joe cut the letters and sculpted and attached the acanthus leaf symbol of the National Association of Decorative and Fine Art Societies, on slate. Abbie also won £100 donated for the Art Prize by an anonymous West Cornwall DFAS member. Lucy Maggs, vocational and community leader at Penwith College, said: “The college is overwhelmed at the support from the West Cornwall DFAS and so grateful for recognising our students’ talent and potential.” Penwith College principal Martin Tucker agreed with our judges and pronounced the displayed work “exceptional”. The exhibition will be on display every day through Sunday 28 June in the marquee in the Harbour car park in Penzance, so do pop in to have a look if you haven’t yet! Click here to see more photos of the prize judging and award ceremony.